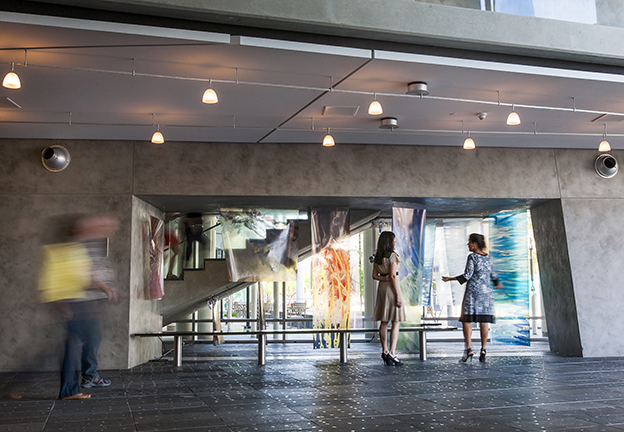 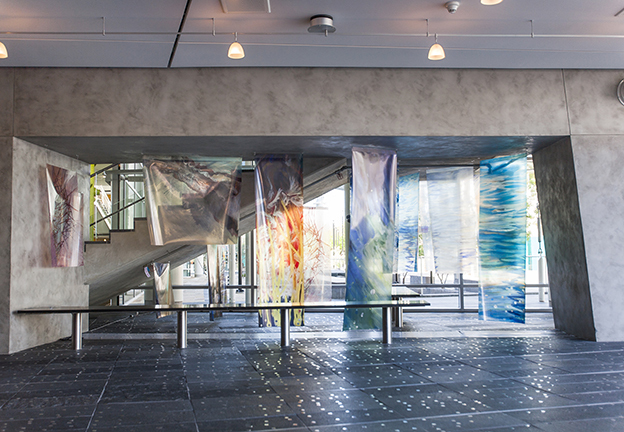 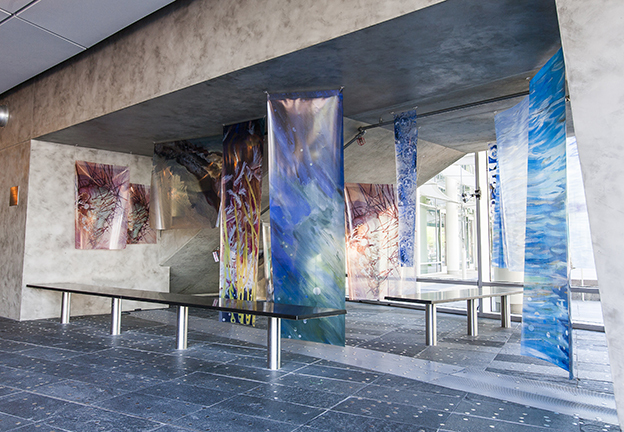 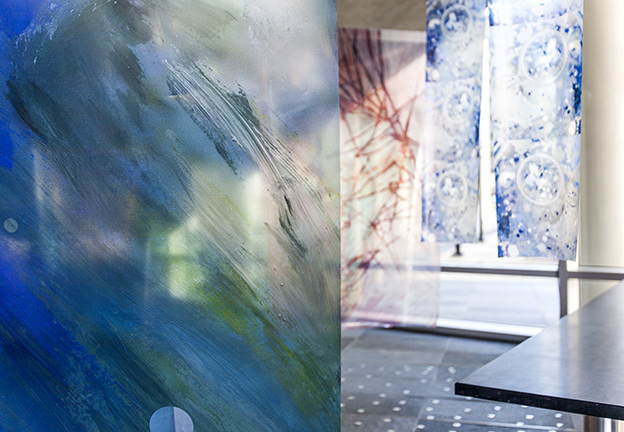 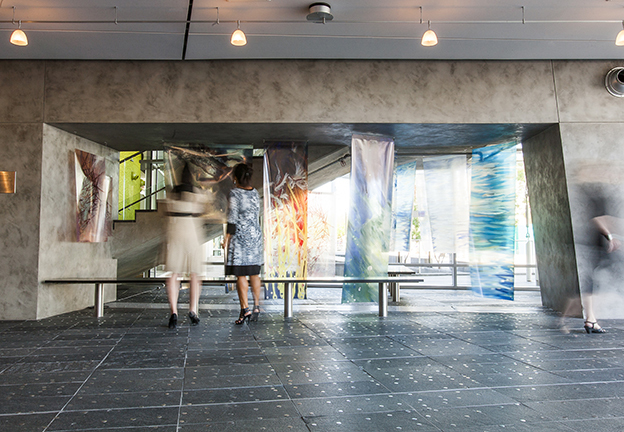 Tucson artist Moira Marti Geoffrion printed abstract and realistic photo images of painted patterns and colors extracted from nature on transfilm suspended in multiple layers under the Mesa Arts Center (MAC)theater lobby stairwell. 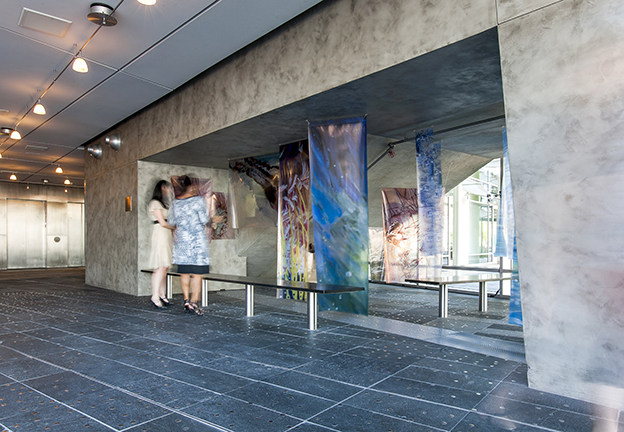 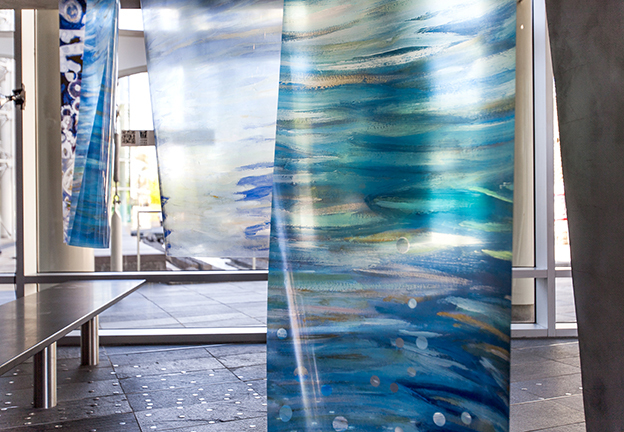 These depictions reference the water features throughout the MAC campus and the importance of the element to human life. 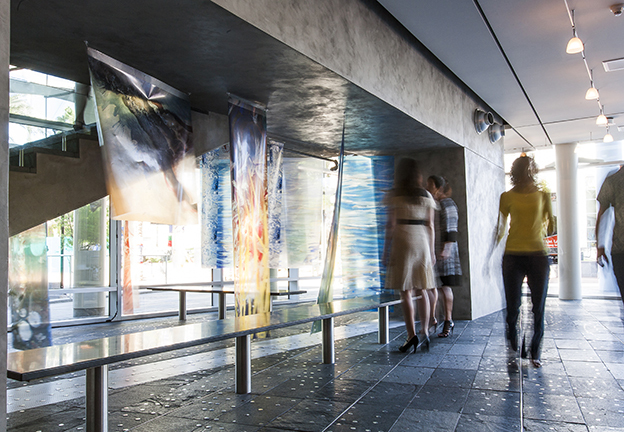 This artwork was commissioned by Mesa Arts Center.